A straw yellow wine with a flowery perfume. The taste is dry, harmonious and pleasantly acidulous. 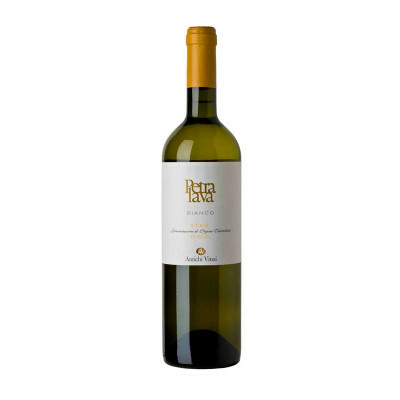 Petralava Bianco (White Petralava) is an Etna DOC wine obtained by blending Carricante and Catarratto vines, with soft pressing and controlled temperature fermentation. The production technique is manual and it is done in the first decade of October. Carricante and Cataratto. IT MAY CONTAIN SULPHITES. Abv 12.5%. This wine is good with fish and shellfish dishes. Serving temperature 16-14°C.